Exclusive New York sticker with a collage of pictures cut into letters that form the name of the city. The city that never sleeps, the Big Apple, Metropolis, Gotham ... No matter what you call it. New York is the capital of the world! 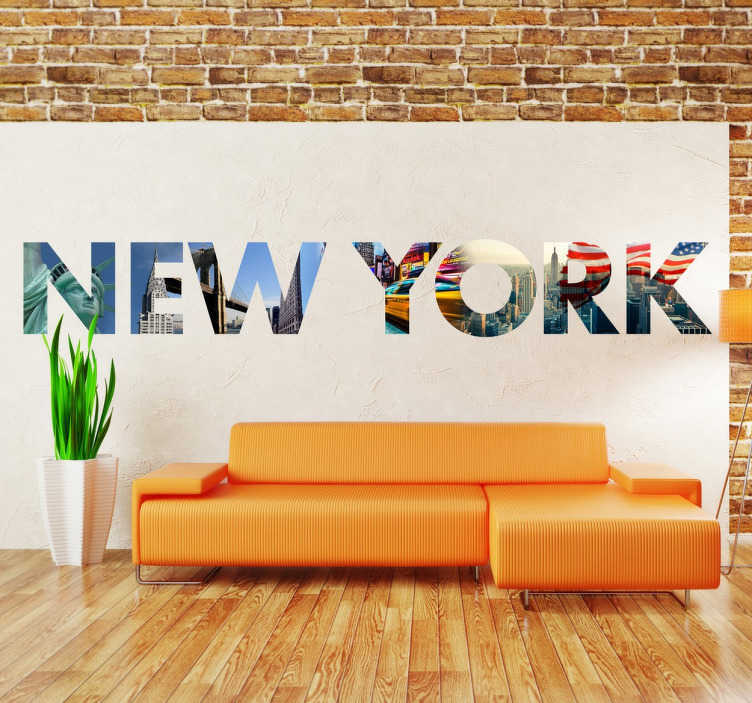 And because we know you're in love with New York we offer the following wall mural. With this vinyl decal you get to give a touch of colour and modernity to your living room or bedroom and surprise the guests you bring home. We have a catalogue of similar designs in other major cities of the world such as Berlin, Paris, London and Barcelona.